On any given day a walk through Parklakes 2 is an absolute joy, and even more so when you know just where to look. Take Parklakes Drive and the 26 beautiful fig trees that take pride of place along the lakeside walk, for example. Placed under these trees are individual plaques designed as a sign of remembrance, to honour those who fought for Australia and those who took part in peacekeeping missions throughout history. The first 14 trees on the walk represent significant conflicts where Australians have fought or provided support. The 12 trees that follow represent countries where Australian forces have been involved in peacekeeping missions. 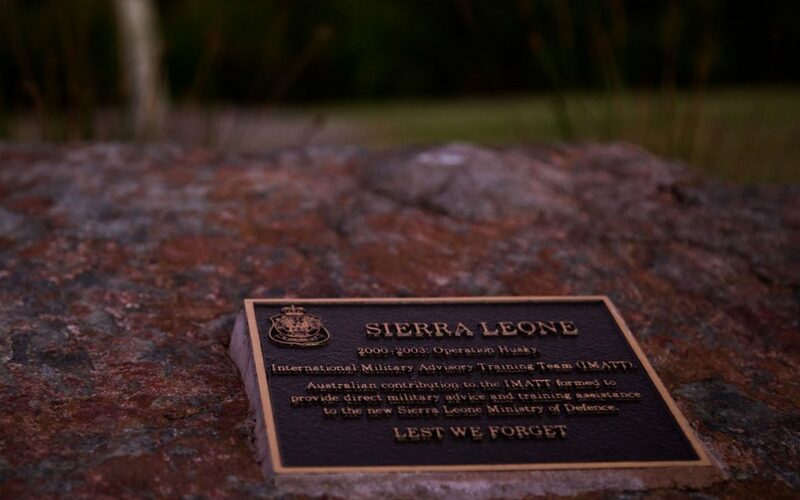 Brass plaques placed under each tree tell the story of the 26 events featured, and provide a reflective history experience like no other on the Sunshine Coast. Parklakes 2 builders coordinator Nathan Squassoni said the Avenue of Honour had provided an opportunity for the entire community to reflect on Australia’s history in a completely unique way. “I often see residents walking the Avenue of Honour and reading the plaques; taking the time to talk about the history and remember those who have served,” Nathan said.